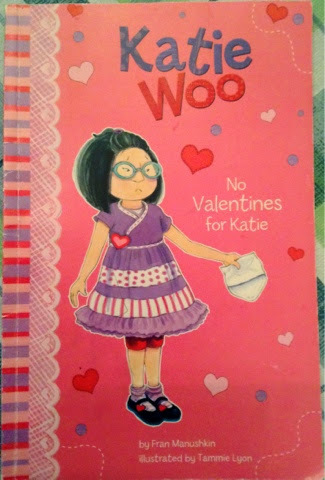 Katie Woo Lives Here Too! Right before the birth of our second child five years ago, we moved back to the Philip Roth suburbs in which I grew up. Back when I was a kid in the 1980s, if you weren't Jewish, you were either Irish or Italian, with the exception of a dozen or so Asian families. And if you were Asian, you were probably Filipino. And all the Filipinos knew each other either from church or through our parents who probably worked at the same hospital. Fast forward a quarter century, and the demographics are quite different (49% Jewish, 20% Asian, 4% Latino, 2% African American). There are so many Asian kids that I have a hard time keeping track of my own kids at the playground. I even yelled at a Chinese kid who was throwing sand because I thought he was my son.